Advanced aircraft maneuver and parking stand simulation and visualization. 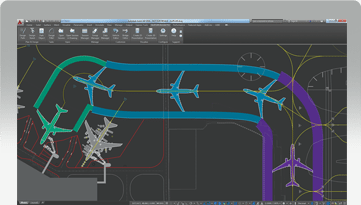 AviPLAN Airside Pro is the ultimate solution for any engineer, architect, draftsperson or planner involved in the field of airside planning, design or operations. 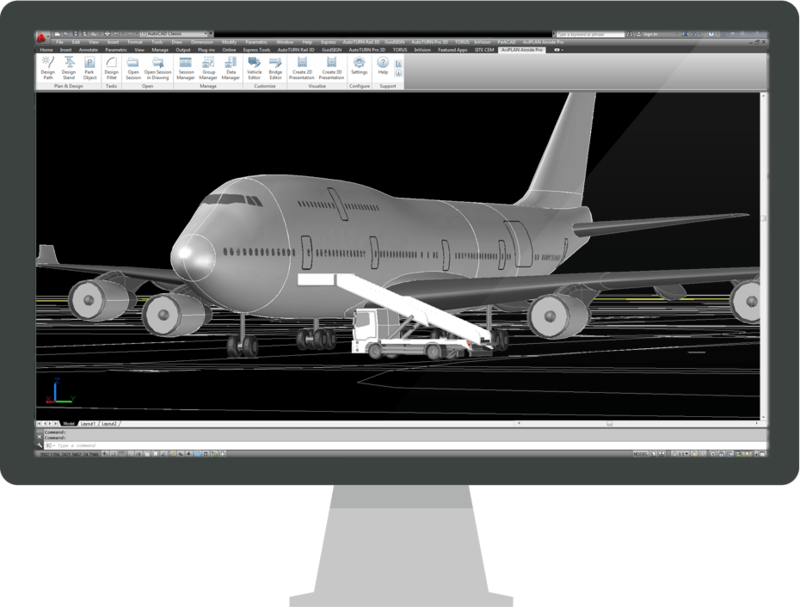 Including a comprehensive 2D and 3D object library as well as functionality for simulating airplane and vehicle turn movements, designing ground markings, analyzing taxiway fillets, planning MARS stands and more. Join an upcoming AviPLAN public training session at a location near you. Inquire now for further details. Overview INTRODUCING AVIPLAN Including a comprehensive 2D and 3D object library as well as functionality for simulating airplane and vehicle turn movements, designing ground markings, analyzing taxiway fillets and planning parking stands, AviPLAN Airside Pro is the ultimate solution for any professional involved in the field of airside planning, design or operations. 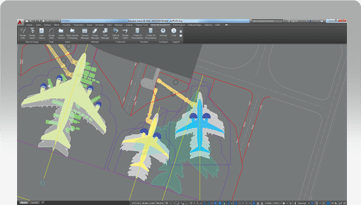 Including a comprehensive 2D and 3D object library as well as functionality for simulating airplane and vehicle turn movements, designing ground markings, analyzing taxiway fillets and planning parking stands, AviPLAN Airside Pro is the ultimate solution for any professional involved in the field of airside planning, design or operations. https://transoftsolutions.com/wp-content/uploads/2016/03/AVI_Stand2D_big.png Overview COMPLEX DOCKING SCENARIOS Plan intricate MARS stands, with multiple lead-in lines and passenger boarding bridges, with the guidance of warnings which indicate when design parameters are nearing, or exceed, limits. Plan intricate MARS stands, with multiple lead-in lines and passenger boarding bridges, with the guidance of warnings which indicate when design parameters are nearing, or exceed, limits. https://transoftsolutions.com/wp-content/uploads/2016/03/AVI_Clearances2D_big.png Overview AIRSIDE DESIGN STANDARDS Undertake clearance studies using taxi way, taxi lane and apron safety clearance guidelines from ICAO, FAA (ADG and TDG) and EASA. Undertake clearance studies using taxi way, taxi lane and apron safety clearance guidelines from ICAO, FAA (ADG and TDG) and EASA.